Kara Telfer is the daughter of Jim and Angie Jensen. She hails from Underwood, IA and is a 2009 graduate of Underwood High School where she was a member of jazz band, color guard, as well as the basketball, track, and cross country teams. She was a four-time state qualifier in cross country and track and a Drake Relays qualifier in 2009. She currently is a senior at Creighton University where she is majoring in biology. At Creighton she serves as the secretary of the pre-vet club. Outside of school Kara has been active showing horses with the Arabian Horse Society of Iowa and local saddle club gaming events. She enjoys camping and trail riding with her family and is a member of the Ride and Tie Association. She was also the Miss United Rodeo Association 2009. When she's not riding or in school she enjoys running and playing the piano. 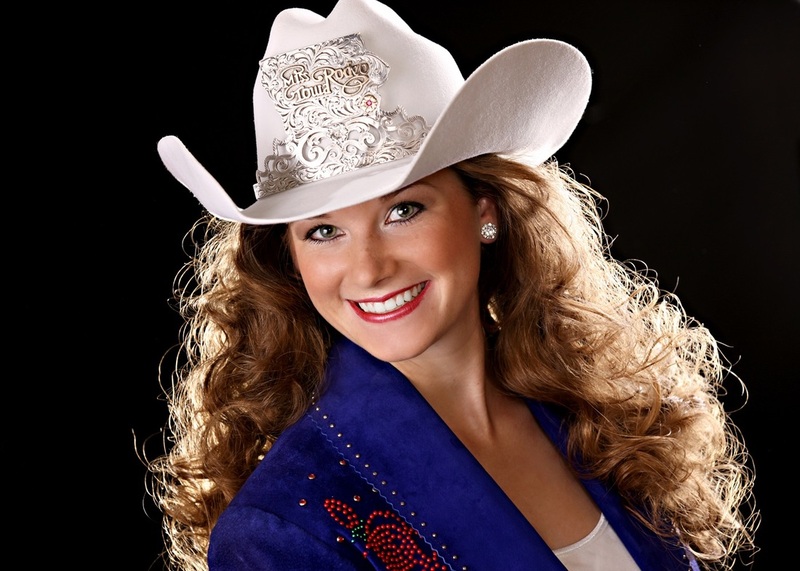 Kara looks forward to her year as Miss Rodeo Iowa 2013 and hopes to share her passion for horses and rodeo in order to give back to the horse industry and agricultural community which she believes shaped her into who she is today.